Once a year, we get together with hundreds of teenagers from across Vermont, New Hampshire, and Maine! 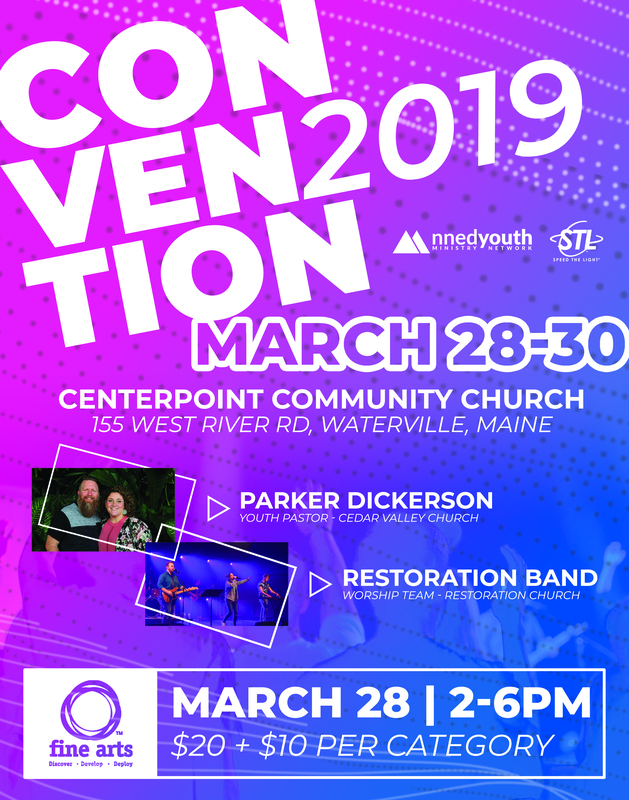 Youth Convention is a gathering of young people coming together once per year to seek God to renew us, revive us and lead us to change our communities for Christ. Every year we focus on the teen as an individual and do our best to equip them with the tools they need to be the best they can! This year, we are blessed to have Parker Dickinson, nationwide speaker, and Eric Hoffman, the National Speed The Light Director speaking with us as well as the Restoration Church Band leading us in worship once again! Below we have listed the hotels at which we have set aside room blocks and then a list of other properties available in the vicinity, feel free to use these suggestions, or find what works best for you at another facility.